A MatchCode is a tool to search for data records in the system. MatchCodes are an efficient and user-friendly search aid for cases where the key of a record is unknown. It consists of two stages one is Match code object and the other is Matchcode ID. A MatchCode object describes the set of all possible search paths for a search term. Matchcode ID describes a special search path for a search term. 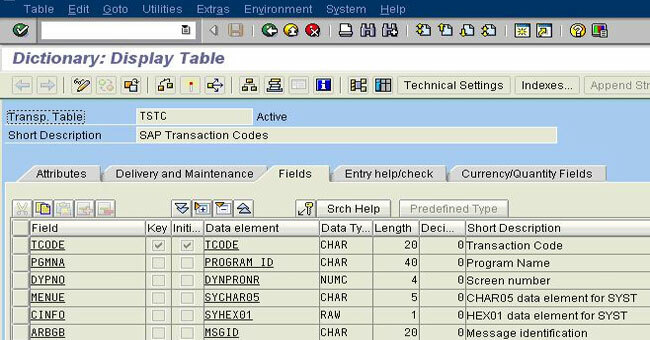 For many entry fields, but not all, SAP provides a search function called a MatchCode. MatchCodes allow you to select a value from a list or search for a value by categories of data if there are many possibilities. To display the MatchCode button, click in an entry field. The MatchCode appears on the right of the field. Keeping the cursor in the field and then pressing F4. Keeping the cursor in the field clicking the right button on the mouse and then selecting possible entries. Keeping the cursor in the field and then clicking on the magnifying glass.